A new year is upon us and like usual, there are many that have made New Year’s Resolutions. You see some of the usual ones that involve working out posted everywhere, but what if teams and professional athletes had resolutions and we all had access to them? No one knows if some of these professional athletes made some resolutions for the year, but if they were to make them, this is what they could have been. Without further ado, here are some New Year’s Resolutions the General has for some people, teams and players. A lot was made of Jimmy Butler’s comments in regards to his coach, Fred Hoiberg, and him needing to coach them harder. But one other thing the star guard spoke about was the team needing to play harder like they have in previous seasons. And he could not have been more correct. The Bulls have no identity at all this season and the effort seems to not be there on both ends consistently. For them to even compete in the East, they need to get back to the basics. Of course there is a new coach there, but the same pieces remain. For their sake, they better hope some things get better soon for them. The talented forward for Phoenix has had an interesting season. He watched his twin brother get traded to Detroit this offseason and it has seemingly had an adverse effect on him. He wanted to leave and demonstrated so during the offseason but that cooled down once the season started. But even now, he has had temper tantrums like throwing a towel at the coach. And like any player that has issues with a coach, he has been in and out of the doghouse. One thing he may want to realize is he is not making himself look any better with these tantrums. Other teams are watching. And eventually the talent-trouble formula will not be in his favor. Get it together Mr. Morris. Of you could be calling it a career quicker than you want. The Los Angeles Lakers have been employing Byron Scott for almost three years now. And with this team as young as they are, it seems like Scott hasn’t got the memo to play the young players so they can get better. So since he seems to not get the memo, why not let him go now? Kobe is about to exit Byron. Lou Williams is not a starting point guard in the NBA. Larry Nance Jr is not a starter in the NBA. The Lakers’ brass needs to end this science experiment with Byron as head coach and do so as soon as possible. 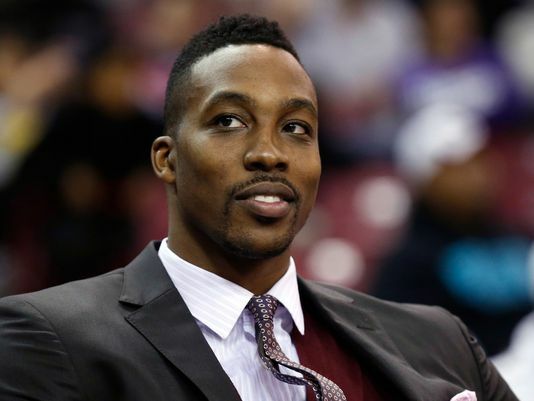 Dwight Howard has had the potential to be one of the best big men in the NBA for some time now. But he has never lived up to it. Instead, he has been known as an unhappy big man. Dwight has visions of himself being more involved in the offense in Houston just like he had in Los Angeles for his one year there. But in each situation, he has yet to realize that he is the not the focal point of his team. It was Kobe in LA and now it is Harden in Houston. He will not be the main weapon on this Houston team because he does not have a consistent offensive game. Maybe if he had that, he would have a gripe. But right now, Dwight may want to focus on just being a rebounder, dunker and defensive presence because that is what he is. The team seems to be in disarray yet again. There seems to be no direction there and the front office and management seem to be on two different pages. The talk has been that general manager Ray Farmer will be done after this last game. But with the Browns, you never know. This one reads like a soap opera, so maybe one day they will get some direction and move forward. But it all starts from ownership. Ownership here has never asserted itself and taken control of the situation. And this mess will continue if Haslam and company do not do so. The Detroit Lions had a rough start to the season. They were 1-6 out of the gate and there were many disappointed fans of that team. But the team righted the ship and played well down the stretch after they fired their offensive coordinator and members of their front office. Some saw this optimism and have thought that it is time to give Jim Caldwell more time. Well, those that don’t want that better hope that does not happen. Detroit fans and ownership, don’t be fooled by the finish of that team up there. They still have a ton of issues there and keeping Caldwell is not going to help fix those issues at all. Chip Kelly almost completed his third year of coaching the Philadelphia Eagles when the plug was pulled on him by the organization this week. Aside from some of the questionable moves he made as the general manager this season, it was his icy relationship with people around him that helped get him fired in Philly. He reportedly would not even speak to players in the building, often leaving them feeling uncomfortable. He more than likely will receive another shot at some point (at the college level or in the NFL). But in order for him to succeed, he has to learn to value the people around him. He apparently did not in Philly. If he is able to learn that along with other things, then he could be successful in his next go round. The team has had issues all season long. Of course most of those were linked to the departures of their head coach after the 2014 season and the loss of players to retirement. But even more than that, the team just seemed like it just could not get any form of consistency all year long. For them, the consistency needs to start with what direction they will be going in. This was obviously not what the 49ers expected and this was unacceptable in their eyes. The stability starts from the top and it will be interesting to see what they do to stabilize this team and get better. The Chicago Cubs were a team that many expected to not be ready to achieve until the 2016 season. But they surprised everyone this past season and made it to the National League Championship Series. They lost the game, but they were ahead of schedule. And this offseason, they acquired a few pieces to help take them to the top. The thing that Cubs fans have been waiting on forever is a championship. And this year is their best chance to do it. The best thing for them to do is take advantage of this opportunity when it presents itself. If not, this chance could pass them by quickly. Time and time again we hear about Pete Rose and whether or not he should be in the Hall Of Fame. Well, he was denied again and the argument ensued as to why he should or should not be in the Hall. Well, both sides need to come together and make this happen one way or the other. Rose has to come clean about everything and Major League Baseball has to value an all-time great before he passes away. At some point, Major League Baseball has to let him in. And while Major League Baseball is trying to take the moral ground, they may want to take a look at how they conveniently looked the other way during the Steriod era. I bet that would change some viewpoints there on all those taking that moral compass out involving Major League Baseball. 2015 has come to an end and 2016 is now upon us. And all of us have great dreams of making things happen in this new year. And some of us even made resolutions. Hopefully for these teams, players and people, they make some changes within themselves to make this year a great one for themselves. The NBA free agency bonanza caught fire early and often today. The teams that were thought to potentially lose players actually retained them instead. Kevin Love shocked many by staying with the Cleveland Cavaliers to the tune of five years and $110 million. He stated in his article in The Player’s Tribune that he was re-signing with Cleveland, that “it’s time to get back to work” and that “we (the Cleveland Cavaliers) have unfinished business”. But as much as some were shocked by that deal, there were others that may have been shocked by what happened in the Valley of The Sun today. The Phoenix Suns re-signed their trade acquisition of last season, guard Brandon Knight to a five-year, $70 million deal. That was to be expected as they gave up some pieces for him. But along with that deal today, the Phoenix Suns also signed a veteran big man that no one expected them to sign. 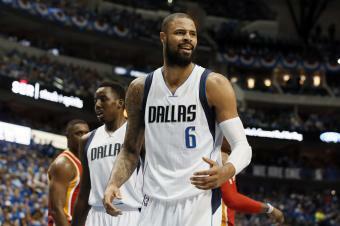 Tyson Chandler agreed to a four-year deal with Phoenix to the tune of $52 million. It can be guaranteed that no one saw this deal coming for the 32 year old center in the NBA. In fact, some Suns fans are probably still shocked by this signing. But unfortunately, the shock will probably turn into disgust very soon for them. When watching the Suns last season, they seemed to be a young team willing to go with their youngsters and gain experience. And although they did not make the playoffs, they still had some of the most talented pieces in the NBA. The thing that they needed was some veteran leadership, but they did not need it at the center position. Honestly, they needed to get a little bigger in the backcourt but with the signing of Brandon Knight to pair along with Eric Bledsoe, they will once again trot out there a small backcourt for some teams to take advantage of them. The Suns had their center to build with in Alex Len. The former Maryland Terrapin was showing some progress last season even though he has had some injury issues along the way. He was a guy that could block some shots as well as finish around the rim. But apparently, the former 1st round pick was not enough for the Suns and they went out and signed Chandler to be the starter in front of him. By doing this, Phoenix could potentially stunt the growth of their potential center of the future. Some may say that he is going to be able to help Len, but that kid needs playing time to get better. To give an example how Phoenix could stunt Len’s growth, just take a look at the Golden State Warriors. Harrison Barnes was great this season for them in the starting lineup, but last season he was bad when he was relegated to the bench when they signed Andre Iguodala last season. Barnes was awful as a sub behind Iggy and that seemed to stunt his progress. They switched the roles and let Barnes start this season and just like magic he played well and had a good season. The same could happen for Len with Chandler coming in to take his starting role. For the Suns’ sake, they better hope it does not faze him and that he continues to improve and get better. Tyson also was signed to a deal that guaranteed him $13 million a season. But what is interesting about Chandler is that he cannot score at all. He was apparently part of Phoenix’s presentation to star power forward LaMarcus Aldridge on Wednesday and that could help them land him, as they have moved neck and neck reportedly with the San Antonio Spurs for his services. But what if they don’t land Aldridge in free agency? That means the Suns have just signed a player that will not bring anything to them offensively and may not be the difference-maker he once was at his current age in the NBA. The Suns brought him in to be an impact player defensively, but for $13 million a year, he has to be able to give them more than just defense. If that is all they are giving him, then the Suns just threw some money out the door with this signing and it will not make a difference at all. And one other thing Chandler might want to pay attention to in Phoenix: the point guards that he is playing with. Eric Bledsoe and Brandon Knight are not guys that are known to be distributors. In fact, both can be dynamic offensive players in different ways but not in the way of distributing to teammates. That relegates Chandler to a defense and rebounding guy, which the Suns could have got for cheaper with a guy like Robin Lopez, who is still out there in free agency right now. But now they are tied to Chandler and they will move forward hoping he is able to bring them Aldridge. The Suns are a team that is trying to make the playoffs and they needed to make a few moves to make sure it happens. But with what they have done so far, they have not helped their chances on making the playoffs at all. In fact, there is nothing that tells me this team is ready to make a run for the playoffs at all with Chandler being added to the mix. Chandler has been a good veteran player in the NBA, but this fit with him in Phoenix is just not the right one. Phoenix may not recognize it right now, but they will definitely recognize it soon enough. The Orlando Magic started last season looking for progress from third-year coach Jacque Vaughn and his young team. Although they were young, they were a talented squad that some could see making it to the playoffs potentially if they were to reach their ultimate level. Unfortunately, the Magic were the same team they were last year and it seemed like no progress was made. So the organization decided to part ways with Vaughn halfway through the season. The team with so much talent just did not come together under Vaughn’s leadership. The season ended for them mercifully in April and then the search for a new coach began. There were names mentioned like former Scott Brooks and Tom Thibodeau as the next coach of the Magic. But for Orlando, they decided to not hire these coaches in favor of one of the franchise favorites. Scott Skiles was a hard-working player when he played in the NBA. He did not have any skills that were extraordinary, but he was a smart, heady player that left it all on the court. And he can famously be remembered for being an irritant to second-year center Shaquille O’Neal when they were in Orlando together as well as his record of 30 assists in one game in 1990. Well, Skiles will now be returning to where he had his best success as a player. 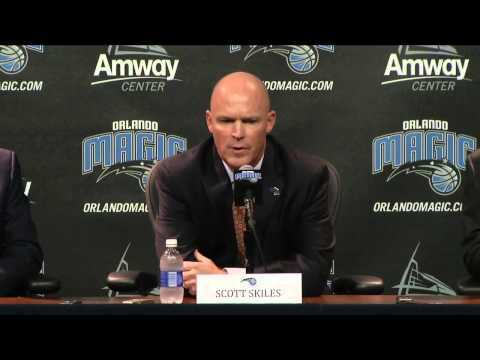 Skiles was officially named the new head coach of the Orlando Magic on this past Friday. And with that, the new era of Magic basketball has begun. But how long will this era last is the question many have. Skiles has been in the NBA a long time as a coach and has had a few stops. In Phoenix, Chicago and Milwaukee he helped make those teams better and he has a 51% winning percentage in the NBA as a coach. It is undeniable how much he squeezed out of those teams when many did not see the type of things he did. And with most of them, there was not much to work with. But the things that he accomplished with the teams he coached came with a price. Skiles was as demanding as a coach as he was a player. He was tough on players and sometimes overstepped his bounds as a coach. He knew tough love as a coach and some players needed that. But he never knew when to throttle it down on the sideline or at practice. The result of his propensity to continue to push his teams was him ultimately getting fired from two coaching jobs and him resigning from the Milwaukee job. The reason he was fired from two of his coaching jobs he was is because he wore on those teams. Eventually, the players tired of listening to him rant at them about things. His act wore thin and he was jettisoned. In Milwaukee, his resigning was due to him not being very fond of the ownership at the time and who can blame him? At that time ownership was very bad. But the team probably would have fired him there as well if he did not resign due to his abrasive coaching style. In the end, he is a guy that gets results but wears thin on people, including management. In the short-term, he can get some results. But in the long-term, he is not the answer for any team. He is merely a stopgap. For Orlando, they had a chance to bring back a former player they loved, but they also had a chance to bring in someone that would make a difference in the long run. And by taking a look at Skiles and his coaching career, long-term is something that should never be attached to his name. The Magic have a ton of youth on their team and those players will need some tough love along with some encouragement along the way. Skiles has proven that he is incapable of the encouragement portion and would rather coach NBA players like he is their taskmaster. As time goes on, he will become the frustrating irritant that he was when he played with Shaq in Orlando. And that will eventually drive the Orlando players crazy. The NBA is a player’s league and very seldom do coaches win out over players. In a year or two, the Magic will go from just a young team to a team that could potentially make some noise in the East with guards Elfrid Payton and Victor Oladipo along with big man Nikola Vucevic. Skiles will drive them to success at first, but he will eventually become the one that drives them towards talking to management about getting rid of him. His burnout factor on his players will help usher in a coach that will benefit from what he is trying to build. Honestly, it is amazing that he continues to keep getting jobs despite everyone knowing his history on the sidelines. These young players don’t need a taskmaster like Skiles at the helm. They need a coach that can get the best out of them while knowing how to balance personalities on a team. There is a reason teams Skiles coaches take a drastic dip in his last year coaching them and it’s definitely not the players. Add Orlando to the list of teams that will tire of him eventually and jettison him. This experiment is one that will not work for the Orlando Magic. They fired Jacque Vaughn and had a chance to bring in better coaches with more success. But instead they fumbled this coaching hire like they have fumbled this franchise for the last four years and hired a guy that has no business even being on a sideline as a head coach again. Congratulations on your head coaching job Scott Skiles. And good luck when you are fired in two or three years and have worn out your welcome. Doc Rivers had a decision to make this season. Plenty in the Clippers organization felt it would not be a bad idea for him to trade for his son, but Doc had to think about it. He did not want it to appear like he was doing something to hurt his team. He thought about it decided to make the deal. After Austin Rivers was traded to the Celtics around the trade deadline, Doc made the move to get his son on his team. The Los Angeles Clippers, Phoenix Suns and Boston Celtics made a trade that brought together Austin Rivers with his dad and new coach, making NBA history being the first father to coach his son in the NBA. But this move was not met with the open arms and great, warm feelings that some thought it may have been. Doc was looked at as a man that had too much power with the organization by some. After all, he is the big basketball decision-maker in the Clippers organization and he was taking a chance on his son, who was a struggling guard that had not found his niche in the NBA. Many could not get over the fact that Doc did not make a move for a small forward the Clippers needed. But Doc made the decision to help his son and maybe save his NBA career. Austin Rivers was a dynamite guard out of the Duke University when he was a freshman. Plenty looked at his ability to make plays and score the basketball and assumed he would be a good player in the NBA immediately. The then-New Orleans Hornets were one of the teams that were sold on his skills and they took him with the 10th pick in the 2012 NBA Draft. But instead of a great scorer or contributor, the Hornets got a guy who was inconsistent with his play on the court and his shooting. And at 6’4”, the Hornets felt he was a tweener on the basketball court. They just could not find a way to use him consistently on the court. And the numbers of the younger Rivers reflected the inconsistencies. He would never average over 10 points per game with the Hornets/Pelicans and he would also never live up to the promise some thought he had coming out of Duke. He needed a lifeline and a fresh start to his career. And that lifeline came in the form of his father, watching his son from a distance. The opportunity came about for Doc to revive his career and he took it. When Austin arrived in Los Angeles, many wondered how he would be. Would he come out of his shell and go back to the guy everyone saw as a freshman at Duke or would he continue to falter in his NBA career? At first, he seemed timid and would not shoot the basketball as much. It seemed like he was trying to fit in more from a distance than just playing basketball. At times, it seemed like Doc’s love for his son had conflicted his decision as a coach. And as the Clippers were doing well, it seemed he like he was still trying to figure out who he was as an NBA player. But little did we know that we would be in store for a coming out party for Austin Rivers in the playoffs. Plenty had wondered not only what Chris Paul would do in the playoffs, but what would happen if he went to the bench during the game. There were not many players that were sold on the fact that Austin Rivers was the backup. There were concerns about his play and what he could do out there. But the younger Rivers put that to bed in the 1st round of the playoffs. Rivers had been solid for the Clippers when Paul went to the bench, but in Game 4 he definitely stepped up. The Clippers entered that game down 2-1 to the San Antonio Spurs and needed a win in the worst way. 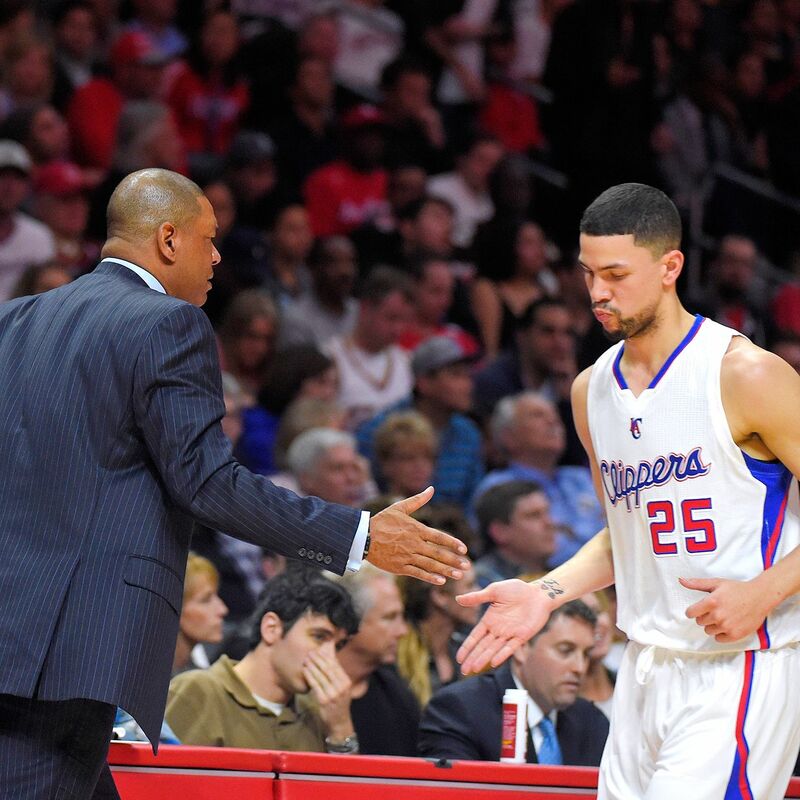 They needed someone to step up and play big and unexpectedly Austin Rivers showed up. The young guard from Duke had 16 points on 7/8 shooting and hit both free throws he attempted. It was evident that he was not ready to go home and he was ready to announce he could play in the NBA to the world. Ever since that game, it seemed like the hate and jokes that Austin Rivers received has started to fade away. And now he is not just known as Doc Rivers’ son, but as a basketball player trying to make his mark in the NBA. He cemented that he was a guy to look out for in Game 3 versus the Rockets Friday night when he spearheaded a great run by the Clippers. Rivers had 25 points and was on fire. His numbers have been getting better by the series. He only had two games of double-figures versus the Spurs in the 1st round and in this round, he has been averaging 17 points per game off the bench for the Clippers versus the Rockets. Undoubtedly he has been the shot in the arm that Los Angeles has needed and could be one of the big keys to them heading to the Western Conference Finals perhaps. Who would have thought what looked like a labor of love by Doc Rivers towards his son would be a move that could help propel the Clippers even further? Austin Rivers has finally arrived ladies and gentlemen. And the potential that all saw when he came out of college is finally getting tapped into. All it took was the words and coaching of his dad and the confidence of his teammates in his abilities. The Golden State Warriors were the favorite by many to win the NBA title this season. Their combination of precision shooting, tough defense, depth and versatility can be an overwhelming thing to see every game. The Warriors used that combination to win 67 regular season and secure the number one seed this season in the tough Western Conference. Meanwhile, their first round opponent took a little bit different route to the playoffs. Fighting through injuries to key players, the New Orleans Pelicans fought their way into the playoffs. For most of the season, they were battling with the Oklahoma City Thunder and the Phoenix Suns for that eight seed in the West. It took the Pelicans until the last day of the regular season, but they were able to make it into the playoffs as the eight seed. Despite injuries to key players like big man Anthony Davis, the Pelicans were able to keep it together enough to make a run towards the playoffs. Through that experience, it seemed the Pelicans were trying to take that next step in developing. The team was able to make it to the playoffs and their prize for making it was the Golden State Warriors. And you could tell the difference in both teams on the court and not just by their records. As you watched the series, it was evident who the more experienced team was. That was shown throughout the series when each team faced a little bit of adversity. In the first game of the series, the Warriors were dominating the game. They seemed to be comfortably pulling away from the Pelicans, when New Orleans made an improbable run in the fourth quarter. The game got tighter and tighter as the Warriors were missing shots and the Pelicans were working through Anthony Davis. Then, as the game got tighter, the Warriors did not panic and put the ball back in the hands of their best playmaker, Steph Curry. As a result, the Warriors were able to right the ship in that game and they ended up handing on the series-opening win versus New Orleans. The Pelicans were going to Davis for a while in that fourth quarter, but it seemed like when they got close, they decided to start going to other areas, mainly guard Eric Gordon. As a result, the momentum that was built was essentially ceased by a member of Anthony Davis’ own team. This shows you right there that the Warriors were sure who they were while the Pelicans are still trying to figure it out on the court. Another example of New Orleans’ youth showing up for them was in Game 3. The New Orleans Hornets were on the opposite side of the coin when it came to 20 point leads this time. The Pelicans had been taking it to the Warriors all night long. It looked like they were going to win their first playoff game and then potentially get some momentum going. But the Warriors took the time to trust their defense, go back to basics offensively and they also hit the offensive boards. They began to chip at the lead of New Orleans Pelicans’ huge lead in the fourth and they eventually would tie the game on a spectacular three-point shot by Steph Curry and send the game to overtime. The Warriors would go on to win the basketball game in overtime. They did everything right in terms of stopping the opponents, knocking down shots and doing whatever was possible to get the win they needed. On the other hand, it seemed as if New Orleans was wilting on the court. The Pelicans got their by allowing forward Ryan Anderson to go to work in the post on whoever the Warriors decided to put on him. That was working well, but it just seemed like they wanted to go a different direction when it mattered the most and Golden State was making their run. Touches to Anthony Davis can always be great things, especially in the clutch. But instead of going to Davis and Anderson, the ball funneled through the hands of guard Eric Gordon. And it was in that last twelve minutes in Game 3 that Golden State won the series and New Orleans lost it. The experience of losing this series will undoubtedly not feel good for the Pelicans. They played hard and tried to win a game or two while trying to make it competitive all the way through. But the inexperience of their team eventually cost them. They did not know how to close someone out or take it to another level of playoff intensity at all times. On the other hand, Golden State has been in the playoffs before. When tough situations come, they know how to handle those like that of a team that has experienced the playoffs together. And it is because of their collective experience along with excellent ability that they are headed into the next round while the Pelicans are headed home. 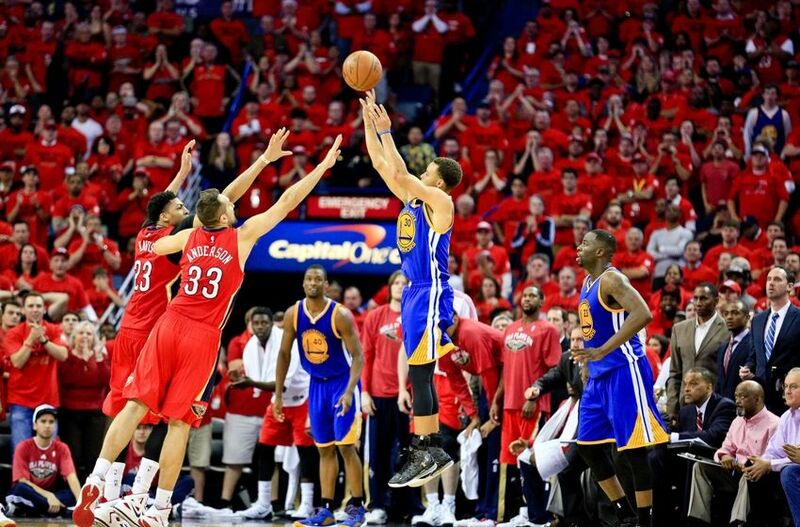 The experience the Warriors had won out over the inexperience of New Orleans. Hopefully Anthony Davis and the Pelicans will take this as a learning lesson and not as a failure. In the 2008 NBA Draft, many wondered what the Chicago Bulls would do with the first pick of the draft. The team was in need of a post threat at that time and many thought they would take the uber-talented forward out of Kansas State, Michael Beasley. He could score in the post, had a solid midrange jump shot and he also had three-point range. He could do almost anything he wanted on the court and had the handles to make it happen as well. But instead of taking him with the 1st pick that season, the Bulls decided they would take Memphis point guard Derrick Rose. The hometown kid became the 1st pick for a franchise he grew up watching. As for Beasley, his star-crossed career began in Miami. The talented big man was thought to be a permanent staple as a sidekick to Dwyane Wade. But unfortunately, he ended up being a player that would have glimpses of great play and then moments of disappointment. Beasley could never hone into consistently producing like his talent said he could. And just like that, the star power that many thought Beasley had would began to wane as time would go by. He was eventually shipped out of town as the Heat traded him to form the trio of Chris Bosh, LeBron James and Dwyane Wade for a championship run. Beasley would go on to have more inconsistent stops with the Minnesota Timberwolves, where Miami traded him, as well as the Phoenix Suns and the Miami Heat again after his contract was terminated in Phoenix after an incident off the court. After last season, he was not looked at by anyone. Surely someone would take a chance on the now 26 year old forward who was still as talented as when he first came in the NBA. Beasley would sign with the Memphis Grizzlies, but he would leave the team and head to China and sign with Yao Ming’s Shanghai Sharks. There Beasley would play and play well, but he knew he longed for another shot in the NBA. And on February 26th, he got a chance again to revive his career in the NBA. The Heat signed Beasley to a 10 day contract. And he again got another chance to make it happen. When asked about the opportunity, Beasley said: “ I’m definitely blessed and humbled to have another opportunity.” And with that comment, you can definitely understand what Beasley may be feeling with this third chance with the Heat. After they did not re-sign him following their playoff loss to the San Antonio Spurs in the NBA Finals, they ended up coming back to him when the injuries mounted and pieces did not pan out the way they thought they would. And now Beasley is in position to make a difference in Miami while realizing that this could be his last chance. Beasley has not been getting the regular minutes off the bench for Miami. In fact, he has had times where he does not play and other times where he has a hot streak like he did versus the Chicago Bulls in the first half Thursday night (13 points in the half). But what you can tell is he is doing some things that he had not done earlier in his career. Beasley is bringing it a little bit more on the defensive end of the court. You can see him actually in a stance these days, trying his best to defend his position as well as help his teammates. Earlier in his career, you would see Beasley sauntering down the court after making a play or giving up on closing out to a shooter. Another thing that you can notice differently is Beasley being more within himself while on the team. He has emotion, but he also is not causing disturbances and being difficult as he can be provided his past. He is pretty much a guy that knows time is running out on his career. No longer is he the guy that teams will be lining up to try and resurrect. He know is the guy that teams are beginning to give up hope on and he knows he has to remake his image in that aspect or risk no longer be a viable option in the NBA. Who would have thought that a guy as talented as Beasley would be barely hanging on in the NBA? He is playing well when he gets his opportunities to contribute. But unfortunately he is still inconsistent at times. Even with that, you can realize that something is different though for Beasley this time around. And for his sake, hopefully he showed enough restraint and poise along with ability this time around. 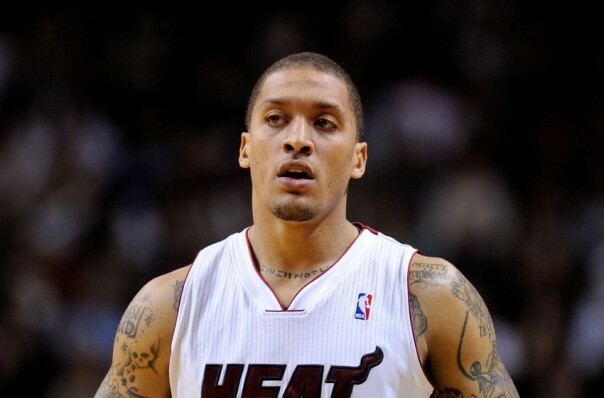 Michael Beasley is a very talented player and should be in the NBA. And at 26 years old, he still could have much to offer. It seems like this time around he is trying to actually help himself more than any time before. And in turn he tried to help Miami in whatever way he could. It looks like something is clicking mentally for Beasley despite the inconsistencies on the court. Hopefully that maturity can be something that can help him be on someone’s roster if he is not in Miami next season. But if he is not on a roster next season, he cannot do anything but blame himself. He set the precedent with his past and now that past continues to haunt him like a ghost. But hopefully with his showings in Miami, he squelched some of those memories and made teams more comfortable with him.